Hypersthene is a common rock-forming inosilicate mineral belonging to the group of orthorhombic pyroxenes. It is relatively common mineral and is found in igneous and some metamorphic rocks as well as in stony and iron meteorites. Many references have formally abandoned this term, preferring to categorize this mineral as enstatite or ferrosilite. 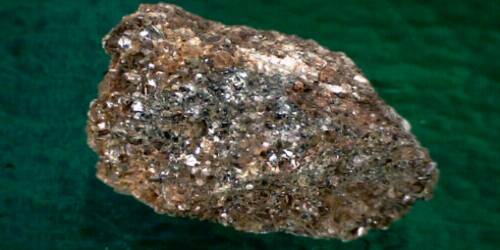 It is a greenish rock-forming mineral of the orthopyroxene class, consisting of a magnesium iron silicate. It is found in igneous and some metamorphic rocks as well as in stony and iron meteorites. The name hypersthene is from the Greek and means “over strength”. 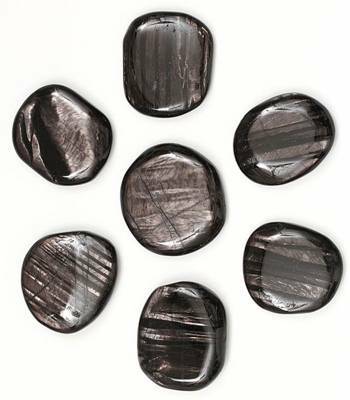 It is in allusion to its greater hardness than the amphibole mineral hornblende, a mineral with which it is often confused. Distinctly developed crystals are rare, the mineral is usually found as foliated masses embedded in the igneous rocks norite and hypersthene-andesite, of which it forms an essential constituent. The coarse-grained labradorite-hypersthene-rock (norite) of Paul’s Island off the coast of Labrador has furnished the most typical material; for this reason, the mineral has been known as Labrador hornblende or paulite.